Tame Impala will headline the London festival in a UK exclusive, with Chvrches and Leon Bridges also on the bill. 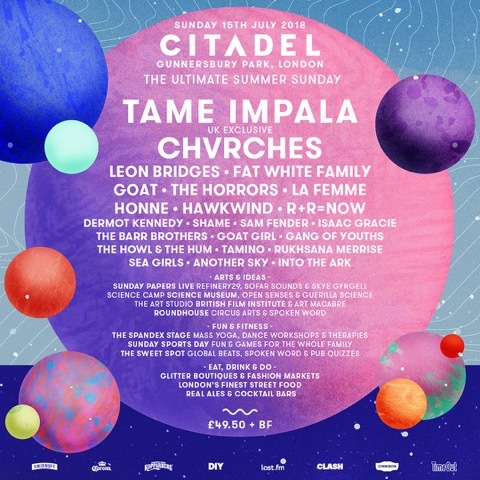 Citadel Festival has announced its stellar line-up this year. Australian psych-rockers Tame Impala will headline the festival, which will take place on Sunday 15 July 2018. Also set to perform at the one day event at its new home of Gunnesbury Park in West London will be Chvrches, Leon Bridges and more.